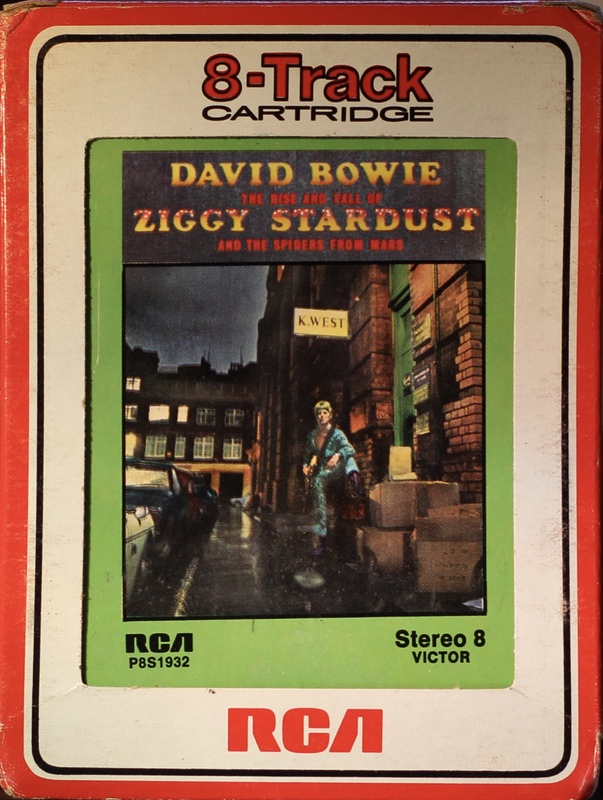 The Rise And Fall Of Ziggy Stardust And The Spider From Mars; USA; RCA; P8S-1932; 1972. 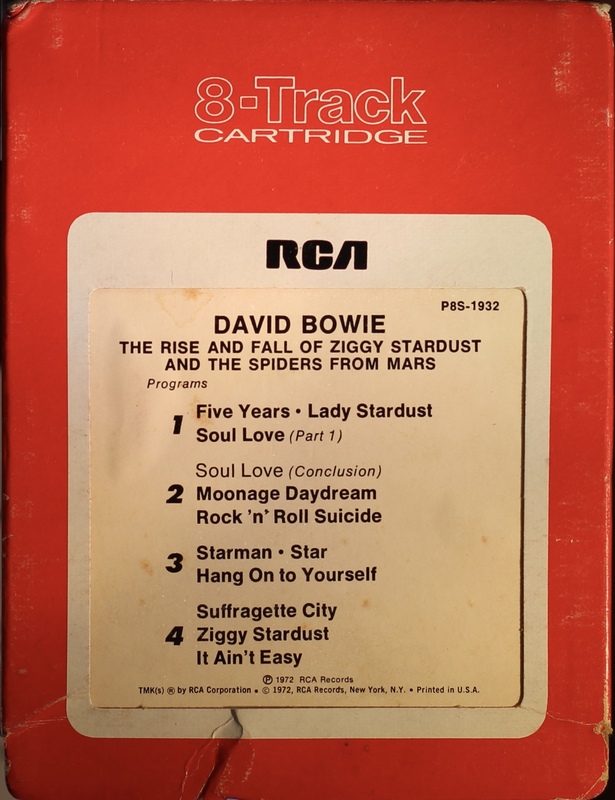 2: Soul Love (conclusion); Moonage Daydream; Rock ‘n’ Roll Suicide. 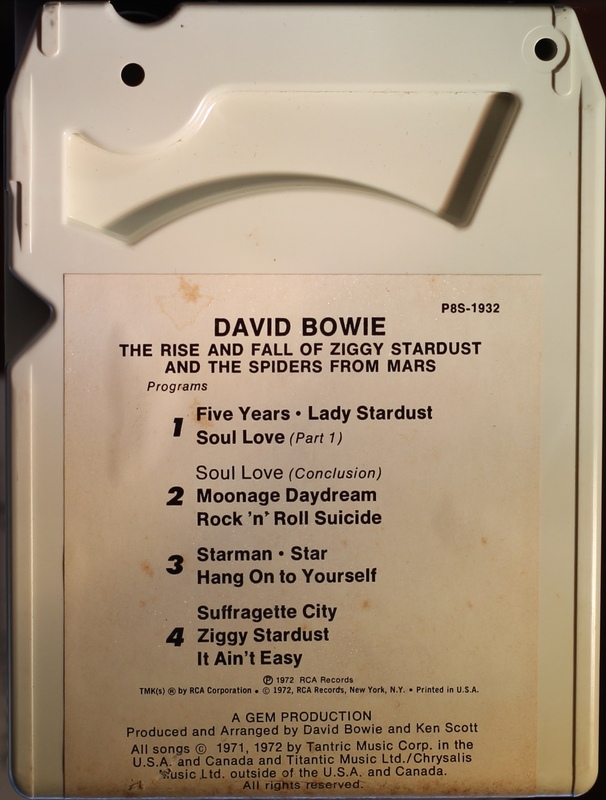 3: Starman; Star; Hang On To Yourself. 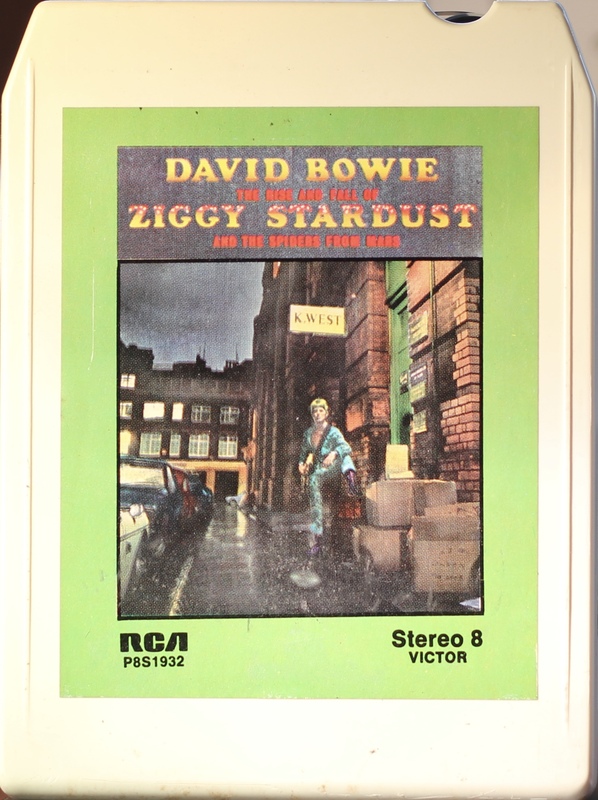 4: Suffragette City; Ziggy Stardust; It Ain’t Easy.